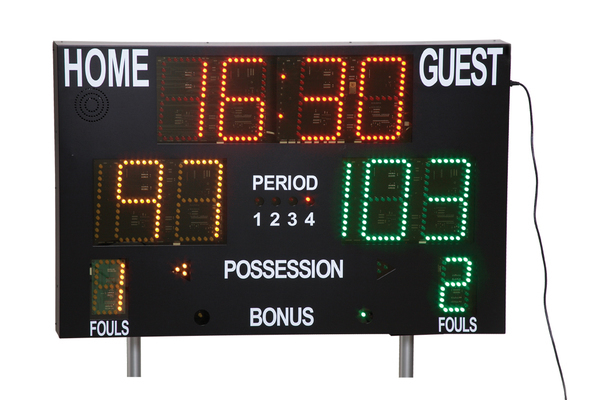 The Multi-Sport Digital Scoreboard offers features found in more expensive boards at an extremely reasonable price, including battery-operated wireless operation, programable timer, clock and stopwatch functionality. The Multi-Sport Digital Scoreboard is an economical solution for scoring almost any sport. It offers features found in more expensive boards at an extremely reasonable price, including battery-operated wireless operation, programable timer, clock and stopwatch functionality. Applicable for basketball, volleyball, wrestling, karate, judo and team handball.